SiteMentrix CMS has already been an online site Builder and professional Content Management System (CMS) for over 10 years. It includes many standard features. 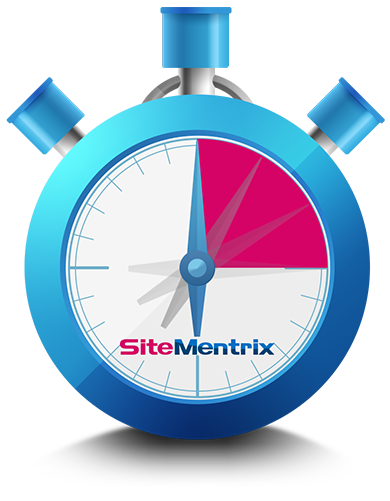 You will be able to create a website in just 15 minutes by using SiteMentrix. Then you can then customize your website with your browser. SiteMentrix is the easiest way to get your website up-to-date! Read more on our Home page about how you can create a website with the SiteMentrix online website builder, for 19 per year (all-in), including a domain registration. How to create a webstore? Read more on our Webstore page about how you can expand your SiteMentrix website with an online store, including a PayPal cart, for €25 per year. Read more on our Custom Design Website page about on how to make a website with a custom webdesign or custom designed banner. You will be able to set the look of your website yourself with the Builder. Choose from more than 100,000 design combinations. You can make changes to your website whenever you wish, while keeping your existing pages. Upload your logo and banner. These are automatically placed on all pages. Use as many domains as you want! Alternatively, domain registration at competitive prices. No technical skills required. You also don't need to have any knowledge of HTML coding or programming. No software to install. You can use the pages of your website from anywhere with your browser change. It works like an online word processor. Just point and click! Guaranteed free from any advertising, both on your website and by email. Customize the menu to your liking. Show your photos in a slide show. Do some market research yourself by opening a poll for your visitors. Ask your visitors' opinions on an issue, your organization, products or services. Create an internet address book of your friends, members or colleagues. Password Security. Visitors can write a a public message on your website. Follow the visitor statistics of your website to Google Web Master Tools (free) andGoogle Analytics (free). Let Google display ads on yourwebsite and share the revenues via Google AdSense (free of charge). Only 19 per year or $25 per year (all-in). No automatic renewal! SiteMentrix is an online Website Builder and online Content Management System. Overall rating 5/5 based on 500 ratings. Plenty of web designs to choose from. I choose a nice webdesign and uploaded my own banner logo. Looks awesome! Setup was easy and quick, no technical harasses. Setting up PayPal was like a 1 minute chore. No limits on number of products. Excellent value. SiteMentrix has everything I need for creating my own website. The online editor is a breeze. Your SiteMentrix website in 4 simple steps online!